Under the rule of corporate oligarchy, what is good for African warlords is now good for American businesses. Last August, a panel of the US Court of Appeals for the DC Circuit issued a decision on National Association of Manufacturers v. US Securities and Exchange Commission, declaring that publicly-traded corporations have a First Amendment "right" to hide whether their products contain conflict minerals profiting various factions waging war in the Democratic Republic of the Congo (DRC). On October 2, Amnesty International joined the Securities and Exchange Commission (SEC) in filing a petition for a review of the decision. "The links between armed groups and the minerals trade are well known, yet companies are still hiding behind the First Amendment to avoid disclosing whether their products help benefit an ongoing, brutal conflict," said Steven Hawkins, Amnesty International USA's Executive Director. For years now the DRC has been in turmoil, with militant groups committing many gross violations of human rights and killing more than 5 million people click here. These armed factions fund their wars off the backs of exploited laborers working in the plentiful mines within the region. The combatants force workers to toil in extremely harsh environments, profiting off the [poorly regulated and corrupt mining operations. In 2010, then-Senator Sam Brownback (R-KS) added an amendment to the Dodd-Frank Wall Street Reform Consumer Protection Act with the Congolese conflict in mind. 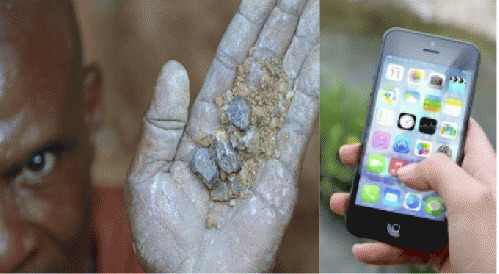 After Dodd-Frank passed into law, it held corporations to account for their sources of minerals, found in common household electronics, such as cassiterite, wolframite, gold, tin, and tantalum through verification and disclosure. It entered into the purview of the SEC to ensure the implementation of these measures. On their website, corporations had to disclose that their products had "not been found to be DRC-conflict free." The goal of the amendment was to increase consumers' awareness of the fact that their purchase of goods with these conflict minerals could be aiding human-rights violators, thus decreasing demand for these goods and profit for these groups. If this is something Congressional Democrats and Republicans were able to agree upon, the National Association of Manufacturers (NAM) and the supply chains complicit in the conflict mineral trade are clearly in the minority. However, by means of what has become the Constitution's largest loophole, Senior Circuit Judges David Sentelle and Raymond Randolph legalized this activity as a corporation's "right" to secrecy, despite lacking morality or ethics on this issue. Although on a steady decline, the American public's trust in the judicial branch remains high, especially in comparison with the executive and legislative branches. Regardless of how impartial the judges appeared in their decision, it is impossible to deny that the consequences of their actions are political. David Sentelle, one of the two circuit judges ruling in favor of the NAM, is a member of The Federalist Society, a judicial organization largely comprised of conservative and libertarian membership aimed at promoting "judicial restraint", except when they're extending constitutional rights to incorporated entities. Raymond Randolph, although not a member, is a regular participant in Federalist Society events and lectures. Officially non-partisan, the goals and achievements of its membership have real consequences for which other people will suffer.